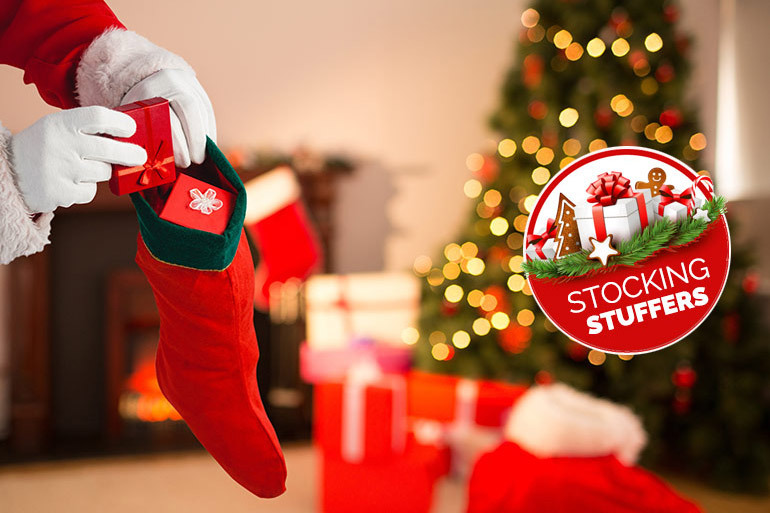 How do you stuff your Christmas stockings? From brilliant, practical gifts (totally allowed) to toys and trinkets to entertain, we’ve got it all in our stocking stuffer gift guide. If you’re at a loss as to what to fill those Christmas stockings with, we’ve got your stocking sorted. 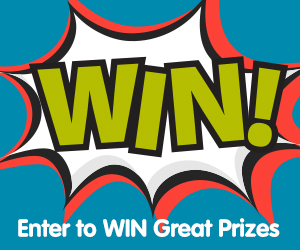 Better yet, you can ENTER TO WIN each and every one of our gift suggestions! 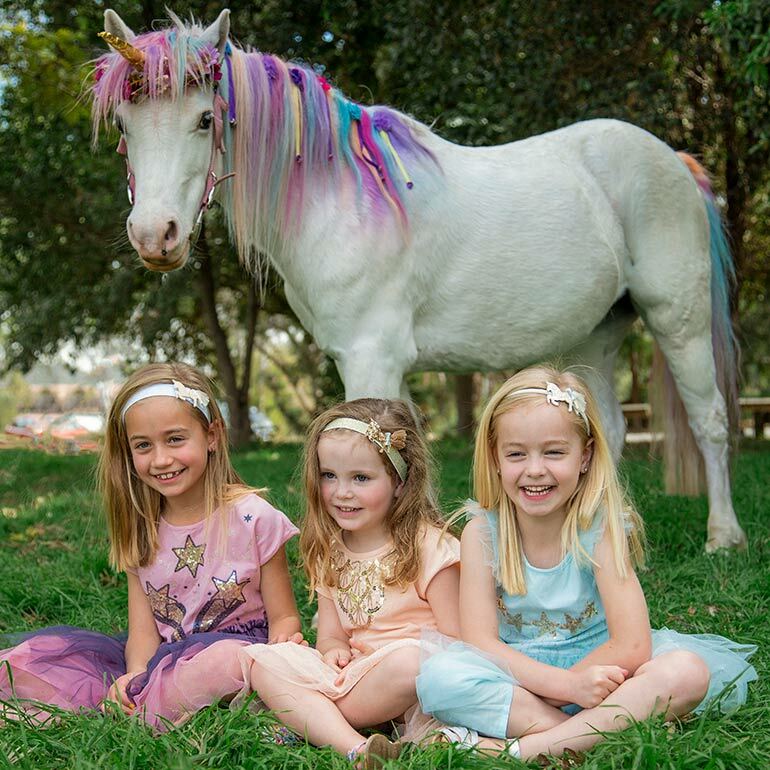 Bring a splash of unicorn magic to every outfit with Mee Mii hair accessories, sure to delight every unicorn lover! The Mee Mii hair accessories range of unicorn head bands ($6.99) and hair clips ($6.99) will have girls lining up to have their hair done, giving their locks that extra sparkle and shine! A must have for the young dreamer, these stunning hair accessories make any outfit magical. STOCKING STUFFER GIVEAWAY: Win 1 of 3 magical Mee Mii prize packs, including a Unicorn Hard Headband, a Unicorn Soft Headband, and a Unicorn Clip 4 pack. Do you sneak some Santa choccies or candy canes into the Christmas stocking? Ease your mama guilt and sneak in a toothbrush as well for when the sugar high ends. Kids will level up their tooth brushing game with a Spinbrush™ Nickelodeon™ Paw Patrol™ battery toothbrush ($11, batteries included). Designed especially for smaller mouths, the comfy grip is easy for kids to handle and makes dental hygiene less of a chore and a whole lot more fun. 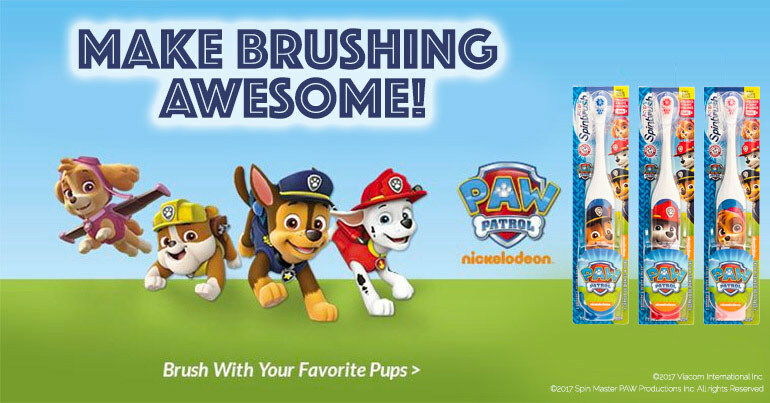 Choose your kid’s favourite PAW Patrol™ character – Chase, Marshall or Skye – and your kids may actually WANT to brush their teeth. STOCKING STUFFER GIVEAWAY: We have 5 Nickelodeon™ Paw Patrol™ Spinbrushes™ to give away to 5 lucky readers! 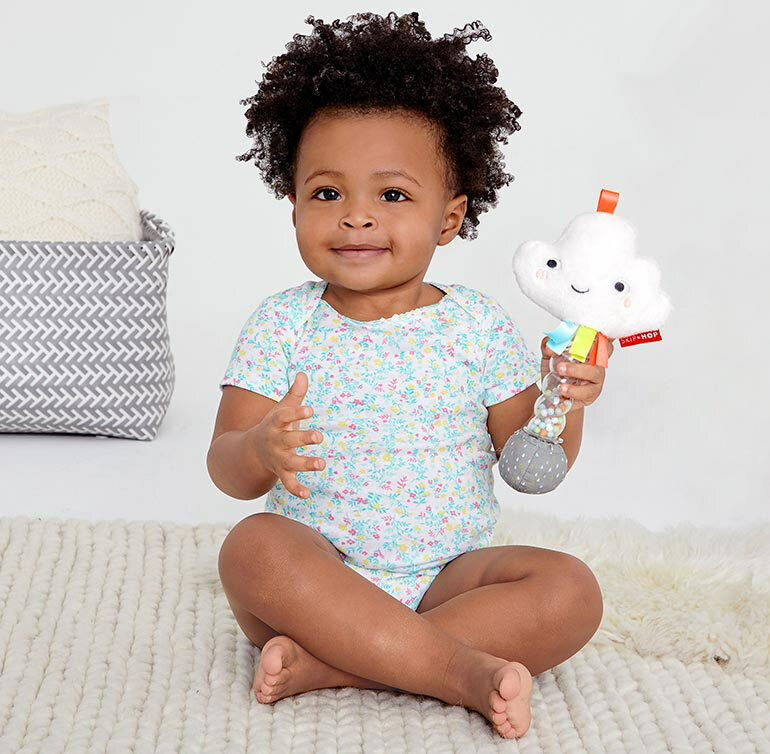 Perfect for rain-dancing babes, the adorable Skip Hop Silver Lining Cloud Rainstick Rattle ($19.95) makes beautifully soothing pitter-patter raindrop sounds. Topped with a super soft cloud, colourful ribbons and a fun raindrop squeaker ball base, little ones won’t be able to resist shaking and exploring this sweet toy! A handful of fun and exploration, the Cloud Rainstick Rattle coordinates with the Skip Hop Silver Lining Cloud collection. STOCKING STUFFER GIVEAWAY: Want to win a Skip Hop Silver Lining Cloud Rainstick Rattle? We have 2 to give away! Got a school or kinder kid in the house? Kill two birds with one stone and get them prepped for the new school year with Thermos®. 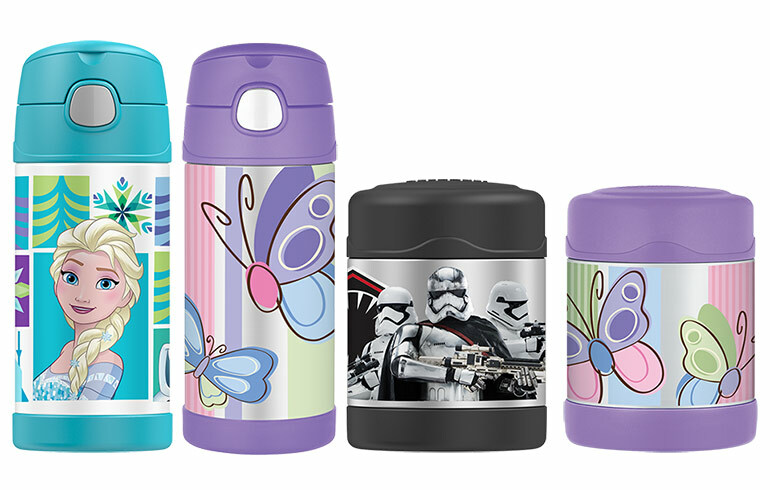 Why not inject a little Star Wars, Frozen or Cars fun into lunch boxes or on-the-go snacking with the Thermos® FUNtainer® range? The FUNtainer® Bottle ($31.99) and Food Jar ($34.99) uses vacuum-insulation to keep contents (water, fruit, yoghurt, soup – you name it!) safely cold or hot for hours. The Food Jar keeps contents hot for up to five hours and cold for up to seven hours, with the perfect partner – the FUNtainer® Bottle which keeps drinks refreshingly cold for up to five hours. So awesome for those scorching days spent out and about, or a great way to keep kids hydrated at school! STOCKING STUFFER GIVEAWAY: You could WIN your own Thermos® Funtainer® Bottle and Food Jar! Grab it, chew it, spin it or roll it, your little one is in for a whole lot of rollin’ good fun with the Fox Roll Around Rattle ($17.95). Brightly coloured and super easy for little fingers to grasp, this adorable guy engages baby in developmental play instantly. 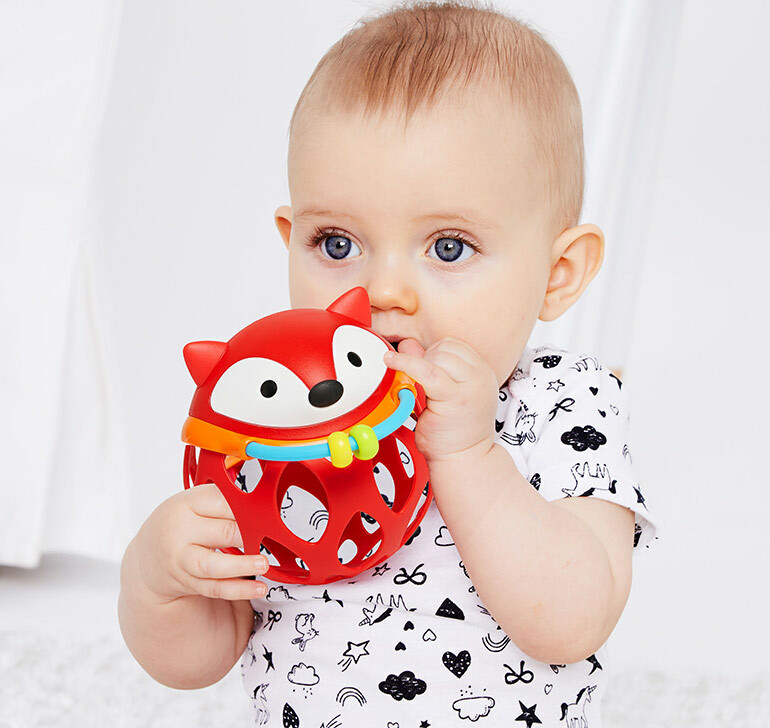 A rattle sounds encouraging constant shaking and shimmying while flexible teethers and beads encourage exploring this foxy fellow through touching with the fingers – and the mouth! STOCKING STUFFER GIVEAWAY: You can win 1 of 2 Skip Hop Fox Roll Around Rattles! 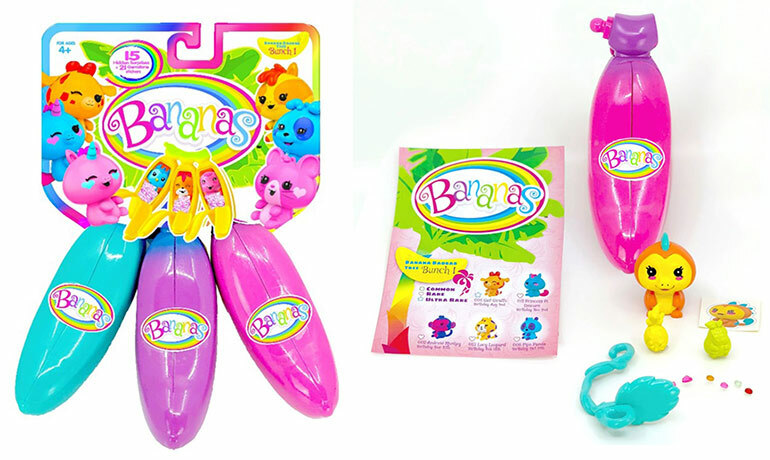 Kids are going to go Bananas ($18, three-pack) collecting these fruity and cute collectable toys. Everyone’s favourite fruit takes on a whole new colourful look and hides a fun surprise inside. Peel your scented Bananas toy to reveal the adorable character nestled inside, along with seven gemstone stickers, two mini squishy friends, a vine hanger and a collector’s sheet. With 96 characters (including rare and ultra rare!) to collect across four Banana Bunch families, that collector sheet will sure come in handy keeping track of the family tree! Bananas are available from Kmart, Big W, Myer, Toyworld, Toymate, Kidstuff and independent retailers. STOCKING STUFFER GIVEAWAY: We have 3 three-packs of Bananas to give away! Splish! Splash! Splosh! Skip Hop Zoo Paddle And Go Owl ($19.95) is a hoot in the bath! The perfect bathing buddy, Skip Hop Zoo Paddle And Go Owl can paddle, float and create a whole lot of splashy fun with his wind-up wings. Lightweight and easy for small hands to hold, this bath toy is awesome for kids to learn cause and effect through water play. So much fun! STOCKING STUFFER GIVEAWAY: Ready to make a splash? You can win 1 of 2 Skip Hop Zoo Paddle And Go Owls! Have you ever set eyes on a more beautiful soft and squeezy unicorn? A gelato coloured delight, the Skip Hop Unicorn Bandana Buddies Stroller Toy ($29.95) is a soft toy and teether in one. Little ones will love exploring the rattles, patterns and crinkly sounds of this magical unicorn. The toy attaches to strollers, car seats and infant carriers easily, keeping your bubs’ unicorn friend within reach. For those troublesome toothy-pegs, the Unicorn teether bandana is detachable. Wear it on your own wrist for easy access for baby when out and about! STOCKING STUFFER GIVEAWAY: Win your own Unicorn Bandana Buddies Stroller Toy! If there’s one store the kids can’t resist, it’s that utopia of all things gloriously bright, sweet stationery and funky fun, Smiggle. You could fill a gazillion Christmas stockings with the loot inside a Smiggle store, but here’s some items that kids really lurve. 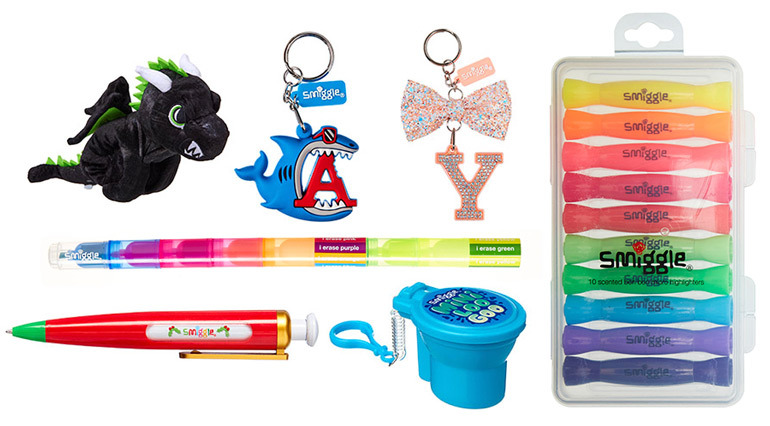 Fill stockings with a cool Dragon Plush Hug-A-Buds Slapband ($24.95), Shark Alphabet Keyring ($7.95), Bow Alphabet Keyring ($9.95), Goo Loo Keyring ($5.95), Lil’ Helper Pen ($5.95), Bonbon Highlighters ($12.95) and the very cool Stax On Erasable Highlighters ($6.95). That’s a whole whack of cool gear to keep kids busy! And here’s a tip – the alphabet keyrings are great for helping your kiddo identify their school bag in a crowd. STOCKING STUFFER GIVEAWAY: We have a huge Smiggle Christmas Prize Pack valued at over $70 to give away! An awesome gift for the kids who love to play in the pool, this adorable set of three Trunki Dive Sticks ($19.95) are brilliant for water fun – just look at those sweet smiling fishies! 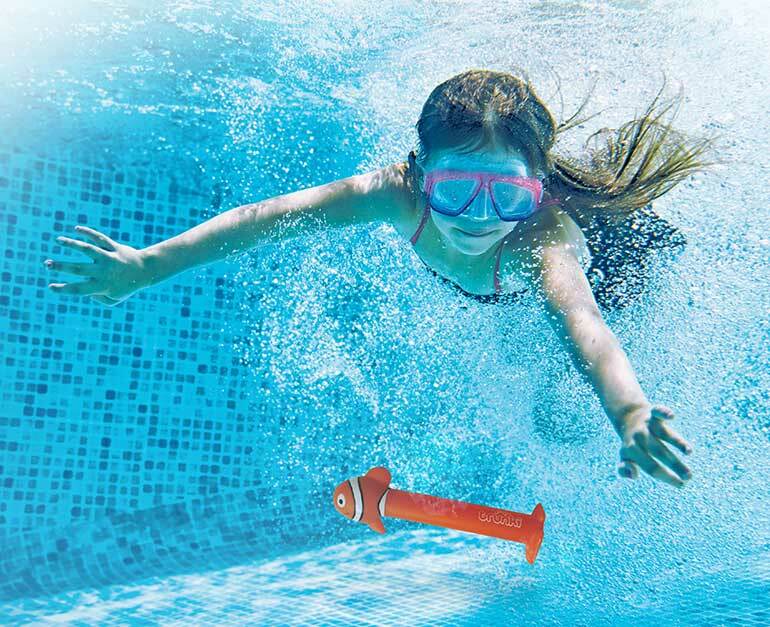 Excellent for both ends of the water play scale – they’re great for encouraging new swimmers to put their face in the water and reach for the dive stick. For more experienced swimmers, throw them in the pool and let the kids retrieve them in record time. STOCKING STUFFER GIVEAWAY: Here’s your chance to win 1 of 2 sets of Trunki Dive Sticks! 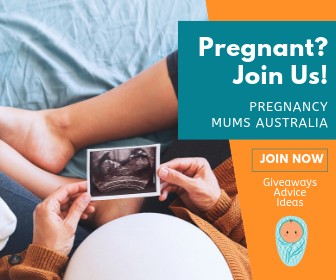 At Mum Central, we’re helping fill your Christmas stocking to the brim with all these fabulous prizes! To be in the running to win one of these stocking stuffer gifts, simply complete the form below. Choose to enter one, or all – the choice is yours! Thank you for an opportunity to win and wishing everyone all the best of luck, amazing prizes.